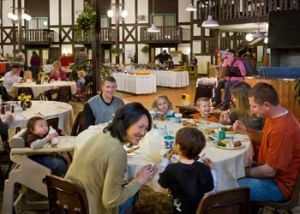 Sunday nights in the summer and most Friday nights in off-season, join us for Cragun’s traditional Welcome Reception and Dinner Buffet held poolside or in the Lakeside Dining Room (included FREE for most package guests). Family friendly food and drinks and entertainment make this event the best way to kick off your stay at Cragun’s. The Welcome Reception is also the place to sign up for all of the recreational activities you’d like to participate in during your stay. 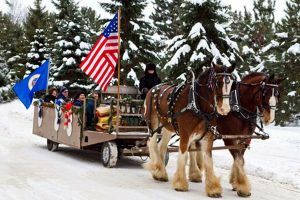 Horse drawn trolley rides are one of our guests’ favorite Minnesota winter activities. A team of beautiful Clydesdales will pull you in a 20 passenger trolley during this half-hour narration around the resort. Learn many interesting facts about Cragun’s. It’s perfect for all seasons, be sure to make this a relaxing part of your stay. The horse drawn trolley rides are available based on the teams availability. A tractor driven trolley ride may be substituted when the horses are not available. 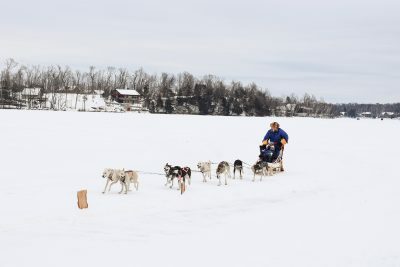 Dog sled rides are one of the most quintessential Minnesota winter activities. Experience the adventure and excitement of riding with a real Husky dog sled team yapping and barking with the anticipation of pulling you! A local “Musher” offers his skill and expertise in taking guests for short trips across the snow. This memorable experience might be the highlight of your winter vacation. Dog Sled Rates $15.00/per person paid to musher. Available most Saturdays. Warm yourself by one of our lakeside bonfire areas. Sit, socialize and share your favorite stories while indulging on delicious s’mores and hot chocolate. Cragun’s staff will set-up and provide marshmallows for roasting on scheduled days and nights. 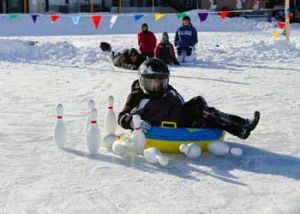 Bring the family for Ice Bowling a fun way to enjoy the outdoors–bowling shirts and shoes not required (bring your boots and parkas instead) and best of all — no gutter balls. For Cragun’s Cardboard Sled Derby, teams build a cardboard sled and then race – great activity for all ages. These two Minnesota winter activities are FREE! 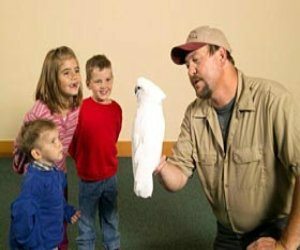 This show changes every week and can include a magic show, our famous “Get Wild” Animal Show, juggling and more. 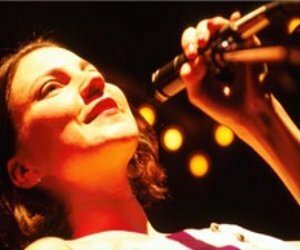 Entertainers and performers that guarantee a good time for all. FREE! A Cragun’s tradition that was started back in the early days of the resort and it’s as popular now as ever. 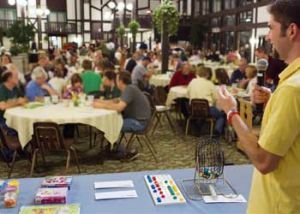 Today, we’ve added a few new twists to our Bingo nights adding a little more excitement. Cards are free to everyone, so bring the whole family! 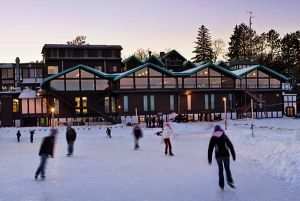 Activities for the whole family are planned on weekends in the fall and winter. 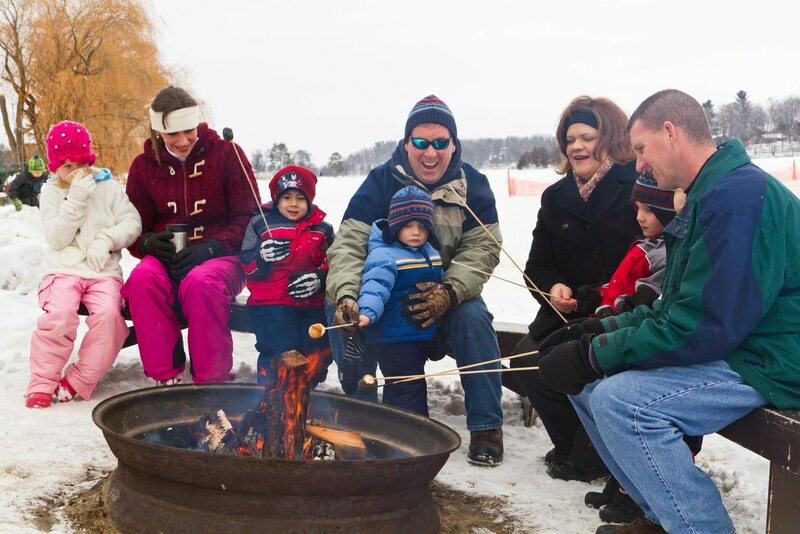 Minnesota winter activities include Bonfires with marshmallow roasts and hot chocolate, medallion hunts, cookie decorating, glow bowling, movie “float-ins”, and more. Please check our Activity Calendar for each weekend’s planned activities. Sing away with a live DJ and Karaoke in the Bear Trap lounge on scheduled nights. 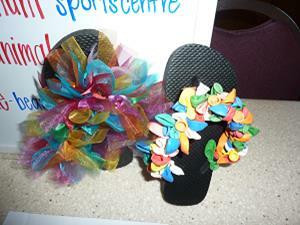 Join our very creative Recreation Staff for a Vacations Creations craft project. The projects change each week and provide you with a fun memento, that you made yourself, to bring home from your vacation (modest charge).